Ten years after the movie’s original events in 1973, King Fox sends D to London with a bag of drugs to be turned into a business deal with a gangster named Rico (Stephen Graham). Things go south quickly when D arrives in London, causing Rico’s men to chase him out of a club, but D quickly finds sanctuary with his childhood love Yvonne (Shantol Jackson), of which he had a baby with back in Jamaica. D tries to nurture his relationship with Yvonne while Rico’s men drop off his radar, until the script needs them to come back. And soon enough, D realizes that one of the men in Rico’s group is the person who shot his brother, which has D seeking revenge. There is a scope to "Yardie," a wannabe gangster movie of complicated morals, that is underwhelmed by Elba's faint vision. Though a lot has happened to D by the halfway point of “Yardie,” there is still a sense that things operate most of all in whatever gets the story to where it wants to be. Take for example how D is quickly forgotten about by Rico’s men, who had just been chasing him, allowing the story to then focus more on D's repairing his relationship with Yvonne. The script (by Brock Norman Brock and Martin Stellman) deflates the tension meant to come from his presence in London, while overcomplicating his drug business that he later starts with a Turkish gang without King Fox knowing. Later, the storyline of revenge lacks a type of grounded nature to make it emotional if not tragic, and seems like a clunky add-on to D’s other business in London. “Yardie” has numerous gritty characters and some solid performances but no sense of filmmaking texture to complement most of it. Elba uses too many lazy storytelling crutches to hold a viewer's attention, like select voiceover that also freeze-frames to introduce people, and literal visions of Jerry as a ghost watching Dennis, or later cutting directly to a teary close-up of Ameen in an attempt to present sadness. And there are too many scenes where the script forces things to happen in order to create a sort of tension (guess what happens when Dennis randomly plays hide and seek with his daughter), with none of it at least backed up by style. The editing in the film is consistently sloppy, scattering action moments, and making the film's moments of killing more tonally ambiguous. Throughout the messy experience of “Yardie,” Elba’s interest in storytelling gets ahead of his lacking visual instincts. Though I'm curious to see what story he tells next, Elba proves to not yet have an original voice behind the camera. Ant-Man becomes a real-life Captain America in Ben Lewin’s “The Catcher Was a Spy,” which premiered this weekend in the non-competing US Premiere section. Serviceable but out of place when compared to the much more challenging work found at the fest, watching the film is like taking a brief respite from what Sundance can offer. 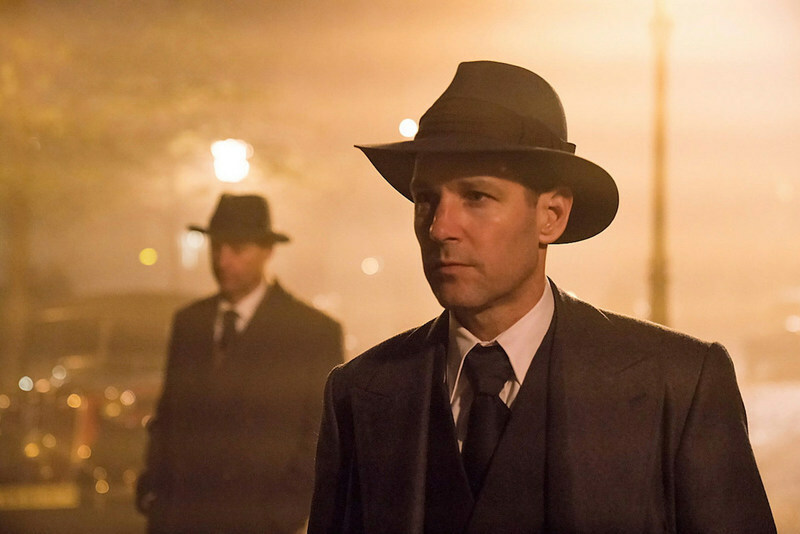 Paul Rudd stars as Moe Berg, who famously went from really smart professional baseball catcher to spy for the Americans during World War II. In the case of this script by Robert Rodat (adapting from a book by Nicholas Dawidoff), Berg was hired to assassinate physicist Werner Heisenberg (played here skittishly by Mark Strong), who was believed to possibly be building an atom bomb. Lewin’s film starts towards the end of the story, with Rudd and Strong exchanging a long glare, and then traces it back to before WWII during the end of his baseball career, his trip to Japan, then to the time of his spy conditioning, and ultimately to the mission. A thread is started regarding Berg's closet homosexuality, but in the movie's goals to more recreate than to interrogate, this dramatic idea is just another that is underwhelmed. The movie lets us know fairly early that Berg is very smart and in great physical shape. As we watch him speak different languages, run extremely fast, and throw a baseball really hard among other things, the perfection of Moe Berg is almost comical. Though I’m not sure you ever get used to seeing Rudd as Berg, this kind of larger-than-life character works for Rudd. Continuing to expand his characters beyond just sarcastic folk, he knowingly grins through much of his performance as if working a few everyman notches below Full Tom Hanks. “The Catcher Was a Spy” is most of all good exercise for a new kind of Rudd, who indeed with the type of accessibility as a star could one day become like a Hanks. Other actors, like Paul Giamatti, Guy Pearce, Jeff Daniels, Tom Wilkinson, Sienna Miller, etc., are tapped into the story's efficient workman nature, adding to the dull but handsome approach of the movie. Lewin keeps the film pointed through its clear-cut mission (Heisenberg) but even throws in a burst of war action, with Rudd, Giamatti and Pearce dodging bullets in war time during an extended sequence. But for a movie that wants to tell you this unbelievable story about a smart guy, “The Catcher Was a Spy” shows its hand with faux-intellectualism. It avoids much of the debate about building a bomb, despite proving to have some humanity for Heisenberg later on. But this is the kind of movie in which the two geniuses show their smarts by playing a game of chess—in their minds, spouting different moves to each other. Were the film not a bit more muscular in its simple goals to amuse before inspiring Wikipedia perusal, script ideas like mental chess would come off as just plain dumb.